Bananas may be the best known potassium source with 422 mg of potassium in 1 medium banana, but did you know that there are many other foods with similar or even more potassium per serving? Along with calcium and sodium, potassium functions as a major electrolyte in the body. It is important for muscle, heart, nerve, and digestive function. Electrolytes balance fluid in the body and transmit necessary nerve impulses. Muscles need adequate potassium to contract and the heart needs potassium to beat at a healthy rate. The smooth muscles of the digestive system are controlled by the autonomic nervous system, of which potassium plays a role in regulation and contraction. Typical causes of potassium deficiency, also known as hypokalemia, include diarrhea, vomiting, excess sweat, excess diuretic or laxative use, alcoholism and dehydration. A deficiency in this mineral can lead to muscle weakness, cramping, nausea, constipation, heart palpitations, and low blood pressure. The most common cause of high potassium or potassium toxicity, also known as hyperkalemia, is kidney failure. These patients cannot remove excess potassium from the body, and should therefore speak to their health care providers about potential potassium restriction in their diet. Certain blood pressure medications can also increase the risk of potassium toxicity. The Adequate Intake (AI) level established by the Dietary Guidelines for Americans is 4700 mg/day for adults. The guidelines state that an increase in dietary potassium has the potential to lower blood pressure, decrease risk of kidney stone formation, and decrease bone loss. On average, American adults meet two-thirds or less of the daily recommendation. Try the foods below to get a potassium boost in your diet! Not a fan of green vegetables? Try hiding spinach in a fruit smoothie, pasta dish, or an omelet. Spinach is also a great source of vitamin K, and a good source of folate, magnesium, iron, calcium, niacin, zinc iron, and vitamins A, B6, C, and E.
Avocado makes a great addition to your afternoon snack. Mix with plain Greek yogurt and season with pepper, garlic, and a splash of lime juice to produce a delicious veggie dip for carrots, celery and more. Avocado is a good source of pantothenic acid, fiber, folate, and vitamins B6, C, E, and K.
Black beans are well known for their role in chili, enchiladas and burritos. For something new, try swapping out beef for black beans in stuffed peppers or mixing with avocado, tomatoes, onions, and romaine for a flavorful southwestern salad. Black beans are a very good source of folate and fiber and a good source of manganese, vitamin B1, phosphorus, protein, magnesium and iron. Coconut water can be combined with frozen fruit in a blender to make a healthy frozen slushy treat. It can also be enjoyed as a post-workout drink alternative to replenish the body’s electrolytes. 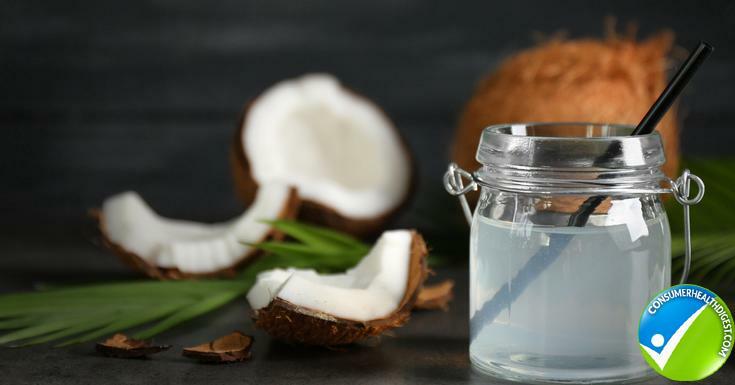 Coconut water is a very good source of fiber, magnesium, and manganese, and a good source of vitamin C, riboflavin, and calcium. This sweet winter squash makes the perfect addition to soups and chili. It also tastes great roasted with cinnamon or with garlic and rosemary for a savory twist. Butternut squash is a good source of thiamin, vitamin B6, pantothenic acid, manganese, vitamin E, and folate. Cooking salmon at home for the first time? Try wrapping salmon in foil with crushed garlic, sliced lemon, pepper, and a handful of fresh basil on top. Bake for approximately 20-25 minutes at 400 degrees until just cooked through and easily flaked with a fork. Salmon provides an excellent source of vitamin B12, selenium, and vitamin D, as well as a good source of niacin, omega-3 fatty acids, vitamin B6, choline, pantothenic acid, biotin, phosphorus, and protein. Sweet potato fries are a fun alternative to regular French fries. Try baking a savory or spicy version at home with the addition of paprika, garlic powder, cumin, cayenne, and pepper. No salt needed! 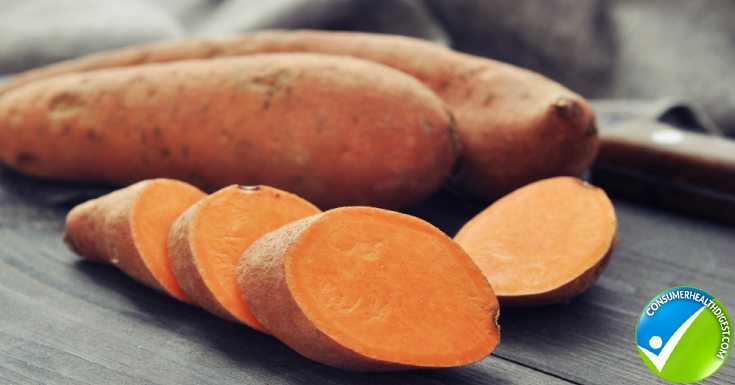 Sweet potatoes are an excellent source of vitamin A and a good source of manganese, niacin, pantothenic acid, fiber, phosphorus and vitamins B1, B2 and C.
Drink 1 cup of low-fat or fat-free milk to meet 1 of 3 recommended daily servings for adults. Milk can easily be incorporated into smoothies, cereal, oatmeal, or baked goods. Milk is a good source of thiamin, riboflavin, calcium, magnesium, phosphorus, selenium, zinc, and vitamins A, D, E and K.
Few foods are more versatile than tomatoes. Try making your own pico de gallo with tomatoes, mangoes, avocado, cilantro and onions. Swap out store-bought tomato sauce and use fresh tomatoes on top of pizza instead for a fresh flavor. Tomatoes are an excellent source of biotin, vitamin C, and vitamin K and a very good source of manganese, fiber, folate, niacin, phosphorus, and vitamins A, B6 and E. Cooked tomatoes are rich in lycopene, which acts as an antioxidant. Beets can be enjoyed raw, roasted, or boiled. Try pairing beets with arugula, watermelon and feta for a bright and tasty salad. 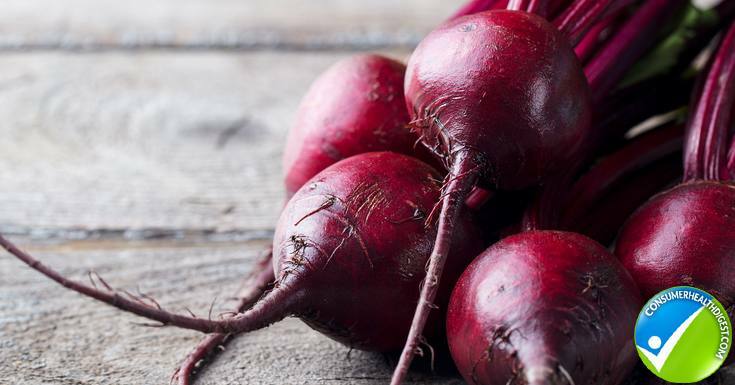 Beets are also the star of the popular Eastern European soup borscht, which often includes potatoes, carrots, and cabbage. Beets are an excellent source of folate and a very good source of magnesium, vitamin C, phosphorus, vitamin B6, iron, and fiber. Potassium is found not only in fruits, but also in vegetables, legumes, dairy, and fish. This mineral serves as an electrolyte in the body, and is a key part of digestive, muscular, nerve, and cardiovascular function. An increase in dietary potassium may help reduce blood pressure. Those with kidney disease should speak to their health care providers about acceptable intake of potassium in their diets due to the increased risk of potassium toxicity. For most Americans, an intake of approximately 4700 mg/day is sufficient in the diet.